We pride ourselves on our ethics. This is what separates Pest Prep NYC from other companies. We choose to educate instead of scaring our customers. If bed bugs invade your life, there are some key steps one should always remember. As Joe Friday from Dragnet would say: "Just the facts Ma'am"
1. Most importantly, take a deep breath and Don't Panic! I assure you, this is a fixable problem. Don't be embarrassed, you have done nothing wrong. Human nature dictates that we tend to make rash decisions under stress. Not only that, this is a process that cannot be rectified “immediately or within a day” It is impossible. FACT#1 The Nymph or birth cycle of the bug is 14 days. This means it takes 14 days for an egg to hatch once it has been laid. It will not impede the success of your remediation or manifest into a severe infestation if you take a day or 3 to process what has happened here in your home. Consult an ethical professional and do your due diligence. Don't feel pressured to act hastily. Take your time and do it right the first time. 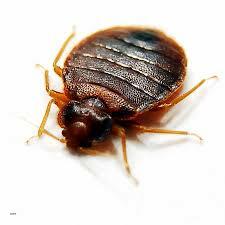 FACT#2 Having Bed Bugs is binary, they are either there or they are not, which leads me to the next step. 3. Bed Bug remediation and preparation can be very expensive. It is also an extremely enduring and arduous task. Your entire life stops as you know it for 14 to 21 days. All of your belongings MUST remain sealed in plastic while this is going on. When you add children into the mix, take it from me it is far from fun. FACT#5 You must have actual proof that bugs exist before moving forward. 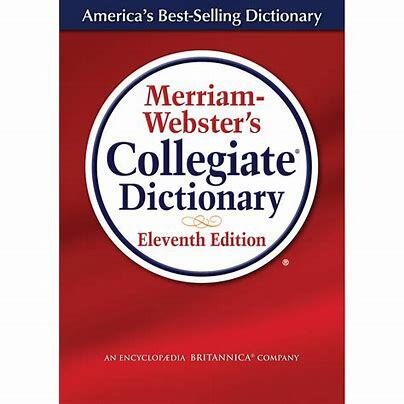 Meaning finding legitimate activity (a live bug or bugs). On the other hand, FACT#6 If you have already found a live bug or bugs there is no reason to waste your money on an inspection. You already know they are there. Do not fall victim to the scent detection scam. If a dog told you that you needed to put a new engine in your car would you blindly do it or would you want proof? There are checks and balances in everything else in life. This should be no different. If you need help finding the right inspector we can recommend vetted professionals. I would never recommend a person I wouldn't use in my own home. Lastly, call us and ask for me, Richard Kane. I am the founder of Pest Prep NYC and am always here to help. Kindness is free to give, and priceless to receive. 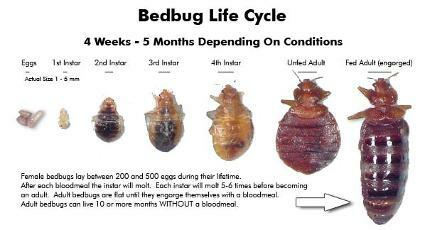 From its appearance Bed bugs are small insects that feed mainly on human blood. A newly hatched bed bug is semi-transparent, light tan in color, and the size of a poppy seed. Adult bed bugs are flat, have rusty-red-colored oval bodies, and are about the size of an apple seed. Bed bugs can be easily confused with other small household insects, including carpet beetles, spider beetles and newly hatched cockroaches (nymphs). • Mattress seams and tufts, sheets, pillow cases and upholstered furniture. • Crevices and cracks in furniture. Incorrect. Hatched babies are 1-2mm in size, and a fully grown adult bed bug can grow up to 3-5mm in size and are reddish brown in color. A: No. Although a bed bug prefers hiding in dark places, they will feed during the day if conditions are favorable. E.g. ; Curtains closed, blinds down, lights out, no disruptions, desperately seeking food, etc. Q: Can bed bugs spread diseases? A: At this point, there is no scientific evidence that bed bugs can spread diseases. The above video is the main reason you should never use over the counter pesticides. Bugs are evolving and becoming resistant to pesticides. Leave it to the professionals.